Like all good travel comparison websites, when looking for the best Tenerife Airport Car Hire we can help. At Best Car Hire, we compare car rental Tenerife Airport and find the best car hire deals and car rental prices from all the leading car rental companies in Spain. Just simply submit your preferred holiday travel dates in the search information panel above. Which Car Rental Company Can Help with Tenerife Airport Car Hire? Book directly with the best international car hire companies Tenerife Airport including Alamo, Hertz, Avis, Centauro, Europcar, Enterprise, Goldcar, Hiper, Interrent, Keddy, OK rent a car, Record, Rhodium, Budget, Sixt, Thrifty and many more. Which Vehicles Can I Choose When Looking for Cheap Car Hire Tenerife Airport ? Choose from a selection of diesel or petrol, standard or luxury car hire Tenerife Airport, with or without air conditioning, automatic or manual gearbox, one way rental or return and with limited or unlimited mileage. Most vehicles now come with bluetooth hi-fi connectivity as standard but please check this at the time of booking. When renting a standard or luxury car Tenerife Airport, you can choose the following rental cars :- Audi A3, Audi A1, BMW 1 Series, BMW 3 Series, BMW 5 Series, Citroen C4 Cactus, Fiat 500, Fiat 500L, Fiat Panda, Fiat Tipo, Ford Fiesta, Ford Focus, Hyundai Elantra, Hyundai i10, Mini Countryman, Mini Cooper, Opel Astra, Opel Corsa, Peugot 508, Peugot 508 Estate, Renault Clio, Renault Clio Estate, Renault Megane, Renault Twingo, Seat Ibiza, Seat Leon, Seat Toledo, Skoda Fabia Estate, Smart ForFour, Toyota Aygo, Volkswagen Golf, Volkswagen Polo and the Volkswagen Up. Can I Get a Minivan or People Carrier Hire Tenerife Airport ? A minivan or people carrier is the best economical choice of vehicles for all those occasions where you need to transport multiple groups of people such as weddings, children’s parties, hen parties, stag parties or sporting events. If you are arriving at Tenerife Airport and your group of friends want to hire a people carrier or a minivan to travel to your luxury holiday villa or to have a fun golf outing at one of the many Tenerife golf courses, we recommend that you book the best MPV (multi purpose vehicle) at least two months in advance. As such, you will find that rental vehicle availability at Tenerife Airport will be easier and you will get cheaper people carrier rental rates. The summer time, Christmas and Easter holidays are our busiest times for MPV or people carrier hire Tenerife Airport bookings, so it is best to plan your car hire accordingly. We find that people benefit from a people carrier hire Tenerife Airport especially when they need a car rental for a 6 seater, 7 seater, 8 seater or even 9 seater purposes. With flexible seating arrangements (backseats can be easily folded down or removed to provide more luggage storage) and all-round visibility (most vehicles have a sunroof), all our people carriers or minivans come with refreshing air conditioning (AC), so you will remain cool and comfortable even with a large number of passengers travelling in the people carrier. When arranging a people carrier hire Tenerife Airport, you may choose from the following fleet of vehicles :- Citroen Berlingo, Opel Zafira, Volkswagen Caddy, Renault Scenic, Renault Trafic, Volkswagen Touran, BMW 2 Series Active Tourer, Renault Kangoo, Citroen C4 Grand Picasso, Volkswagen Transporter, Peugeot 5008, Citroen C4 Picasso, Citroen Jumper 9 Seater, Volkswagen Sharan, Peugeot Traveller and the Opel Vivaro. Which Convertible Car Hire Tenerife Airport Choices Are There ? Most people will choose convertible car hire Tenerife Airport because of the freedom this vehicle offers. There is nothing more exciting than feeling the warm Tenerife sun on your body while taking in the sights the sounds and the fragrances of the Tenerife land and sea, while you drive to your destination. When renting a convertible car hire Tenerife Airport, the choices are :- Volkswagen Beetle Convertible, Fiat 500 Convertible, Mercedes SLK Convertible, Audi A3 Convertible and the Mini Convertible. Can I Get an SUV Rental Tenerife Airport ? Most drivers who rent an SUV (Sports Utility Vehicle), benefit from its ability to carry more passengers than your average car, more cost-effective fuel consumption, safer due to their more robust chassis, more comfortable driving off-road on rough terrain due to their extremely efficient suspension, raised ground clearance and additional hill climbing control due to front-wheel or four-wheel drive (4WD) - handy for the many hilly roads in Tenerife. You can choose from the following SUV rental Tenerife Airport : - Opel Mokka, Renault Captur, Nissan Juke, Nissan Qashqai, Hyundai Tucson, BMW X1, Peugeot 2008, Peugeot 3008, Jeep Wrangler (soft top), Volkswagen Touareg and the Audi Q7. Just remember that with any car hire deals, the offered cheap rental cars Tenerife Airport deal may not be the best value for money, so please take this into account when considering any rental car discounts and find the right car. which you may find useful when making your decision as to which Tenerife Airport car hire company you eventually choose to book a car. All Tenerife rental cars are subject to availability. Alternatively you may book your international car hire at Murcia, Madrid, Alicante, Ibiza, Majorca, Gran Canaria, Malaga, Lanzarote or other major airports and world-wide car rental locations. After Brexit - How Will My Travel from the UK to Tenerife be Affected? The major change is that travellers will need at least 6 months left on their UK passport from their date of arrival at their destination (Tenerife), however this only affects travel to certain countries. What's On in Tenerife ? Now that you have booked the best car hire Tenerife Airport, it's time to see what is going on in and around Tenerife. With a population of 900,000, Tenerife is one of the seven Canary Islands and is the most populated of the Spanish islands. Tenerife contains many popular tourist resorts all year round due to its excellent climate. The most popular tourist resorts are Los Cristianos, Las Americas, and Costa Adeje. 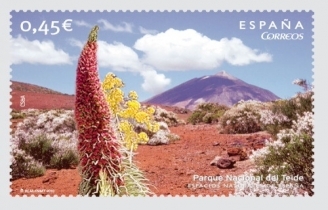 Apart from the fantastic holiday resorts in Tenerife there are many natural beauty spots including Parque Nacional del Teide (housing the impressive mountain Pico Del Teide), Parque Rural de Teno (rich in wildlife), Parque Rural de Anaga (spectacular view points)and whale watching on the south west coast of Tenerife. Due to its volcanic nature, Tenerife has a mixture of white sand and black sand beaches. As some people can be put off by the black sand, this can also make them more appealing due to the colour and availability of spaces to sunbathe. Tenerife has a toll-free motorway network which connects the capital city and airports with most major resorts on the island and there are plans to extend it to completely circumnavigate the island. When choosing your car hire it is best to select one with sufficient power to climb the steep hills, if you are intending to drive up the high mountain roads in Tenerife. Tenerife South Airport – previously known as Tenerife South-Reina Sofia Airport – is the largest international airport in the Canary Islands. There are two information desks at Tenerife South Airport; these are located in the central hall opposite Arrivals and Departures. The information desks can provide passengers with assistance concerning flight enquiries, airport information and lost property. If you would like an RV rental Tenerife then please visit our sister website Holiday Campervan who can help with all your motorhome rental requirements. Como todos los buenos sitios de viajes, al buscar los mejores alquileres de coches en el aeropuerto de Tenerife, podemos ayudarlo. En Best Car Hire comparamos los mejores precios de alquiler de coches de las principales compañías de alquiler de coches en el Aeropuerto de Tenerife y encontramos las mejores ofertas de alquiler de coches. Simplemente envíe sus fechas preferidas de viaje de vacaciones en el panel de información de búsqueda de arriba. There is a good choice of shops at Tenerife South Airport, ranging from bookshop/newsagents and gift shops to fashion boutiques. Duty-free is available at outlets before and after the security area. There are more than 800 car parking spaces at Tenerife South Airport. Short- and long-term parking is situated just across the road from the terminal building, near the bus stops and taxi rank. Parking in airport car parks is free for the first 15 minutes.